Here is the collection of Iguana facts. Iguana can be a cute animal for some people. Kids love to know more about this green animal. They always want to have iguana as a pet to look after. However, some parents reject it. 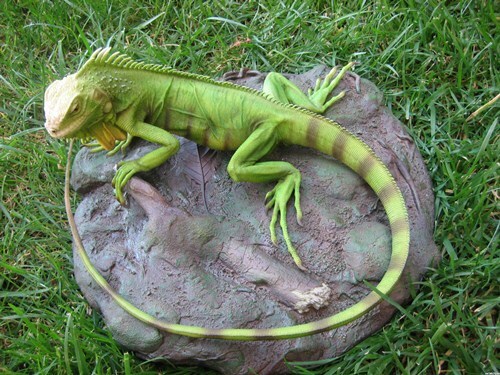 It is not common for kids to have iguana as a pet. They always want to look after dogs, birds or cats. 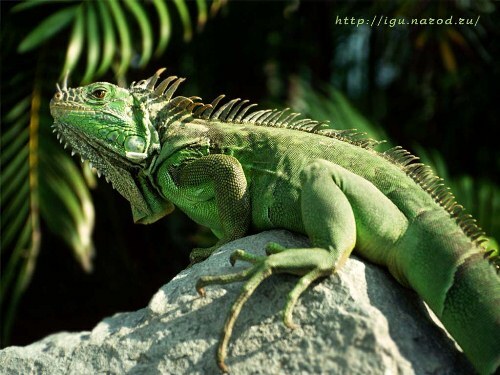 Here are several facts to know about iguana before you have it as a pet at home. Do you know the family of iguana? It belongs to Lizard family Iguanid. This lizard is herbivorous animal because it eats plants. You can have them living in various tropical areas. Iguanas live in Caribbean, South America and Central America. Find more info about a small lizard on salamander facts. There are only two species of lizard included in the genus Iguana. 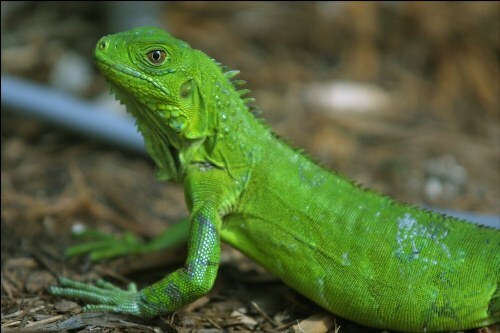 You can look at Lesser Antillean Iguana and Green iguana. Each animal has a unique feature which makes people impressed with their physical appearance. This lizard has the third eye. The location is on their head. The function of this eye is not related to vision. It is mainly for regulating the productivity of hormone. Lesser Antillean is a type of iguana that you can find on Lesser Antilles. The location of the iguanas is on West Indies. 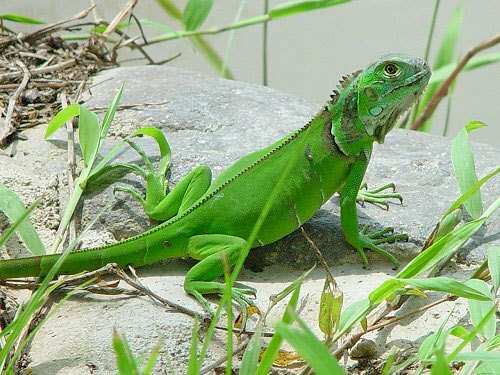 The people who want to catch green iguanas can go to some places such as Caribbean island, Mexico, US, Paraguay and Brazil. The length of this animal is around 1.5 meter, while the weight is around 20 lbs. They can live for about 12 to 15 years. Iguana has unique physical features. The green color is a good camouflage for the animals when they want to avoid any predators. Behind their neck, you can see small scales. They look like spikes. Another animal to learn is seen in alligator facts. The main diet of iguanas is plant since these animals are herbivorous. They love to eat grass, tree leaves, flowers and ferns. Compared to a dominant iguana, a low ranked iguana has lighter color on the body. If you want to call a group of iguanas, you can use the word lounge. Call it as cow if you want to name female iguanas. The male iguanas are called as bulls. It is so easy for an iguana to climb and grasp on a tree because it has long claws and fingers. This animal also has a good vision. The female iguanas will mate to reproduce the eggs. They will lay the eggs after 65 days. Call the baby of iguana as hatchlings. 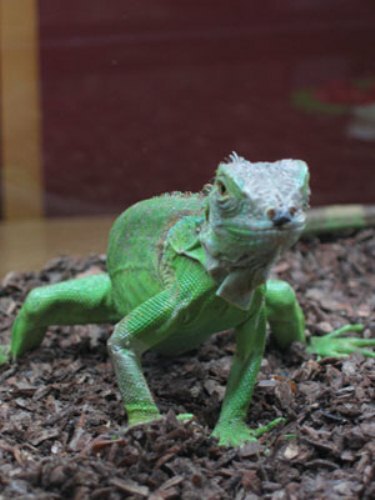 Are you interested reading facts about iguana?